For a multitude of reasons, condos may be a better fit for you than a traditional single-family home. Condos often require substantially less maintenance, and they can also be a lot more affordable. Whether you are interested in retiring overseas, finding an investment property to add to your portfolio or simply buying the perfect vacation home to spend time with your friends and family, take a closer look at the Baymen Gardens condominiums located on the island of Ambergris Caye, Belize. In many new developments, the condo sizing is limited, forcing you to settle for something smaller than you would like or something more expensive than you can afford. At Grand Baymen, the condominiums come in one-bedroom, two-bedroom and three-bedroom sizes, which ensures that you are able to find the design, layout and space that best meets your needs and the needs of your family. Along with the varying sizes of the Baymen Gardens condos comes the affordable prices. Real estate in Belize is, quite simply, more affordable than you might expect. Despite boasting beach access, a tropical climate year-round and a low cost of living, the area offers inexpensive property on top of it all. Baymen Gardens condos range from under $100,000 up to $350,00 depending on the size and layout that you prefer. 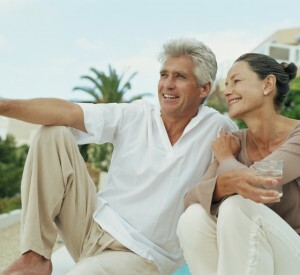 No matter how comfortable and contemporary the condos are, you'll definitely want to be out and about enjoying the Grand Baymen's incredible amenities. Some of the top ways to pass the time within this resort-style community include a three-tiered resort pool, tennis courts and a clubhouse. Plus, the next-door property of Exotic Caye Beach Resort offers its amenities, including the San Pedro Fitness Center and stunning pool, for reciprocal use. While the luxurious amenities, onsite dining opportunities and beach access make the area so appealing that you may never want to leave, a whole world exists just minutes away. San Pedro Town, the hub of culture, shopping and politics on the island of Ambergris Caye, is a mere five-minute drive from the Grand Baymen. San Pedro Town is the perfect place to spend an afternoon browsing the local markets, checking out the natural wildlife, getting a thrill at the ACES Crocodile Sanctuary or listening to the great local live music bands that play at restaurants and bars overlooking the water. Baymen Gardens condos allow buyers to have what is commonly known as a "lock and leave" lifestyle. This essentially means that your home will have minimal maintenance. If you have to leave unexpectedly, simply lock your front door and leave, and you won't ever have to worry about security or exterior maintenance. For investors, those interested in renting out the property or anyone with a lot of traveling on their schedule, this lifestyle is easy and stress-free. These reasons summarize the appeal of the condominiums in Baymen Gardens as well as the high quality of life available on Ambergris Caye in Belize. Learn more about makingÂ your new home in Belize.